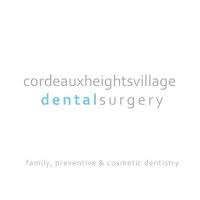 Cordeaux Heights Village Dental Surgery has been providing Wollongong and the Illawarra with family, cosmetic and preventive dental care since its beginnings in 2005. We pride ourselves on being Wollongong's only mother and daughter dental practice which is one of many unique qualities of this caring dental practice. Our dentists, Eva and Caroline Piekarz recieved their dental qualifications from the University of Adelaide. They have also updated their skills and knowledge at continuing education courses to provide the very latest standards of dentistry. Our team of staff members are highy trained to make your experience with us pleasant and stress free. Our practice also has the latest technology including low dose digtal xrays and laser whitening. We look forward to taking care of your needs at your next appointment.